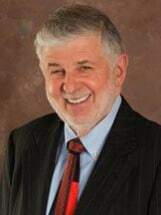 Lou was raised in Burlington and has been practicing law in Burlington City since 1965. Lou is a graduate of Burlington City High School, Temple University (B.S.) and Temple School of Law. Lou is married to Burlington native Carol (Fagan) Smith who is a graduate of Burlington City High School and former Burlington City school teacher. Lou is admitted to practice in the State of New Jersey as well as the United States District Court for the District of New Jersey and the United States Supreme Court. Lou is a member of the American Bar Association, Association of Trial Lawyers of America (ATLA), New Jersey Bar Association, Burlington County Bar Association, and the Burlington County Bar Association Personal Injury Sub-Committee. Lou was formerly on the Board of Trustees for the Burlington County Bar Association. Super Lawyers Magazine & New Jersey Monthly Magazine: "Super Lawyers" list - 2005, 2012, 2013, 2014, 2015, and 2016. No more than 5% of the attorneys in the state are named to the "Super Lawyers" list. See www.superlawyers.com for further information.